After qualifying as a Soft Tissue Therapist in 2004 Kate has been working with a dynamic range of clients. These range from those that do sport as a hobby to elite athletes in sports such as Triathlon, Swimming, Diving, Power lifting, Football, Athletics and Netball. 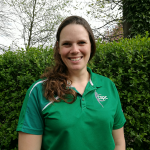 Kate’s clients are not all 3restricted to sports and she has a number of clients that utilise Soft Tissue Therapy to improve posture and pain caused by everyday life. Read more. Ian qualified with an advanced diploma in sports massage in 2001 and has been working with the clinic for four years. He has previously worked for Castleford Tigers, Leeds United Football club and various premier league footballers. Ian is now working for the Rugby Football League and British Triathlon, in addition to his hours at the clinic. Read more. 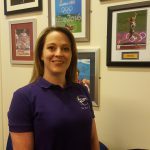 Julianna graduated from Teesside university as a sports therapist and has four years experience working as a soft tissue therapist treating a variety of injuries and conditions including sport injuries and injuries that may occur in everyday life. She uses a wide range of deep tissue techniques when applying massage and includes rehabilitation exercise programmes as part of her treatment to help in injury prevention. Read more.